1. What Are the Hours for the Dow Jones? 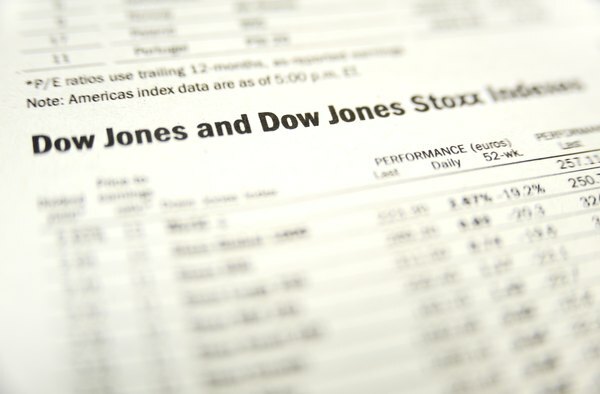 The Dow Jones Industrial Average is a computed with the prices of just 30 major U.S. stocks, but it correlates very strongly with larger market indexes like the S&P 500. Many investors watch the Dow, as it's called, as a way to gauge the performance of the market as a whole. Some will look at how Dow Jones market conditions match other historical periods in an effort to predict future market conditions, but it's important to also keep an eye on economic and political news that could shift the market. Nobody can perfectly predict the movement of the stock market, but Dow Jones trends are one way to see where the market might be headed. The index fairly closely tracks the larger market, so Dow Jones predictions can be used to predict the market as a whole. The Dow Jones Industrial Average is one of the most famous and most-watched stock market indexes. It's computed from the prices of 30 prominent U.S. stocks, including household names like American Express, IBM, Walmart and Disney. It's not a direct average or sum of the companies' prices, since they're weighted based on their market values and prices are adjusted to account for stock splits and other similar corporate events that change the value of an individual share without actually affecting the companies' market value. The Dow is one of several prominent U.S. stock market indexes. Others include the S&P 500, which tracks 500 major stocks, and the Russell 3,000, which encompasses some 3,000 stocks trading on the U.S. markets. The Nasdaq index, often watched as a bellwether of the computer technology industry, tracks stocks trading on the Nasdaq exchange, traditionally home to more startups and young companies. The Dow and S&P 500 traditionally move in quite similar directions. The current value of the Dow and other major indexes can easily be found online by visiting financial news sites or stock brokerage websites. It's also prominently highlighted in the business segment of newspapers and news broadcasts and often displayed on financial and other news channels while the stock market is open. One method of investing in the stock market is through what's called technical analysis, where investors look at the movements of individual stocks or broad market indexes such as the Dow Jones for patterns that predict future movements. They're not necessarily interested in what's fundamentally behind the movements as they are in predicting when and how far the market will rise and fall so that they can time their entry and exit from particular positions. The patterns that technical analysis spot are often attributed to investor psychology, as investors may decide to buy after a particularly sized price decline or get cold feet when a stock appears to meet price resistance as its value rises. However, critics of technical analysis sometimes say that the method doesn't take enough interest in the actual events driving stock market movements, though many investors use a mix of technical analysis and examination of the actual economy and fundamentals of the stocks in which they're investing. If you're interested in this style of investing, you can find many online and offline guides and data sets exploring how the Dow, other indices or particular stocks may perform in certain situations. The Dow Jones Industrial Average has existed since 1896 and its performance over that time shows some of the well-known economic booms and busts in U.S. history. It also indicates how the market and the Dow are driven by world events and politics. The infamous stock market crash of 1929 brought the Dow down to not rise again to those levels until the 1950s, while the turbulence of the 1960s and 1970s saw the index frequently oscillate back and forth in response to economic and political news. More recently, the Dow recovered relatively quickly after the 2008 financial crisis, continuing to climb to historic highs despite pessimism from some investors who thought the index would take longer to recover. If you see a pattern in the Dow Jones or another index that makes you think the index will increase in value, you can invest directly in index funds, a type of financial tool that automatically allocates investor money into the stocks represented in the index. Some of the most popular index funds track the S&P 500. Even if you're not sure of the immediate directions of the market or a particular index, such funds have historically proven to do well for long-term investments. They can also be a cheaper alternative to actively managed mutual funds, where experts are paid to pick stocks and other investments, since they have lower fees charged to manage your money. Many brokerages offer access to index funds through their platforms, and some are exchange-traded funds, meaning they can be bought and sold using a ticker symbol similar to stocks. Shop around for a fund investing in an index you want with a cost structure that makes sense for you. There are other ways to predict the stock market's movements beyond watching the Dow Jones, although naturally, none are infallible. Data points that usually predict the movement of the market and the economy as a whole are called leading economic indicators, while those that follow behind the economy as a whole are called lagging economic indicators. Some well-known examples of leading indicators include bond market yields, which often rise before stocks. When yields on long-term bonds are lower than on shorter-term ones, a situation known as an inverted yield curve, this is also often an indication the stock market may be headed for a downturn. It's a sign that investors are less willing to have their funds locked into a long-term investment since they're not sure what the future will bring. Other leading indicators include new residential construction, as well as corporate orders for both capital equipment, like manufacturing devices, and ordinary consumer goods, which all indicate optimism about the economy. Rising employee hours and falling new unemployment claims also indicate the economy is on an upswing, with companies looking to maximize the output from their existing workers and add new ones. Just because the Dow Jones is moving up or down doesn't necessarily mean that your investments will do the same. There are always companies and securities that do well even in an economic downturn, and if you're investing in individual stocks or bonds, it's still a good idea to watch for news and information about the organizations issuing them rather than just watching the market as a whole. Take a look at corporate filings with the Securities and Exchange Commission, including annual and quarterly reports, for clues about how the company is doing. Read media coverage and analyst reports, which are often collected by financial news and brokerage sites. Check corporate credit rating data, particularly if you're investing in bonds. Consider diversifying your holdings to include a mix of stocks, bonds, insured bank products like certificates of deposit and other options. That can help you to make money, or at least avoiding losing much, in both good and bad economic times. Investopedia: DJIA 101: How Does the Dow Jones Work? Investopedia: What Are Leading, Lagging and Coincident Indicators? What Is the Dow Jones Average and How Was it First Calculated? How do I Invest in Dow Jones Stocks? What Does a Dow Jones Point Drop Mean? How Many Stocks Are in Dow Jones Industrial Average? Does the Dow Jones Industrial Average Include Dividends?